UNIQlO has T-shirts line, UT. 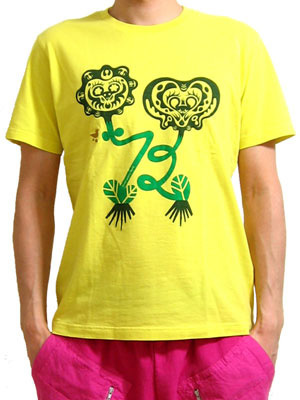 I designed T-shirts for them. Size_ S size to XXL size. 2 color with pigment print & small embroidry. Theme is"number" such a common key words! So I choice 72 as representative of a lucky charm. as chinese zodiac. Hope this helps to cheers you up!